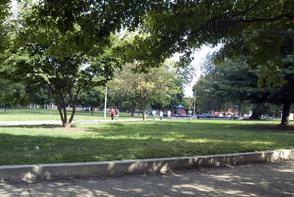 Norris Square Park is situated on land that once belonged to prominent early Philadelphian Isaac Norris. In 1683, William Penn granted his fellow Quaker a large tract of unsettled land in what is now West Kensington. 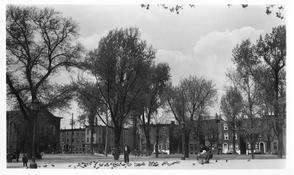 In 1848, Norris’ heirs deeded a plot for public green space and Norris Square Park was born, coinciding with the rapid and transformative industrialization of the district of Kensington. 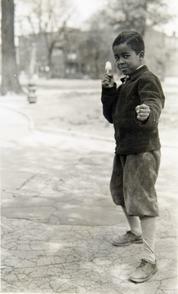 As an integral part of the working-class community, the fate of the park depended upon the economic fortunes of the industrial neighborhood; when the mills and factories closed in the latter half of the 20th century, Kensington’s economy and the park itself began to decline. Although many residents stayed and kept their blocks together, they were often surrounded by whole neighborhoods that appeared gutted. 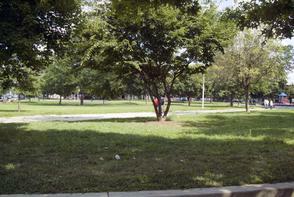 By the 1980s, Norris Square Park was known as “Needle Park” due to the pervasive drug activity. 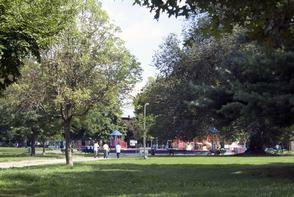 In the 1990s, the Norris Square Neighborhood Project, a grassroots group founded in 1973, joined forces with Philadelphia Green and Grupo Motivos to take back the park. Together they have transformed the park into an award-winning urban green space whose vitality has spread to the surrounding neighborhood. The resurgent Norris Square now attracts a mix of Latinos from all economic levels who are drawn to the neighborhood’s strong sense of identity and community. Vázquez-Hernandez, Víctor. 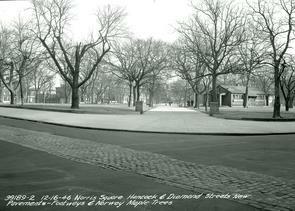 "Norris Square: A Brief History (1920-1996)." in Kensington History: Stories and Memories, edited by Jamie Catrambone and Harry C. Silcox, 42- 45. Philadelphia, PA: Brighton Press, 1996.